Happy Wednesday, JNSPers! 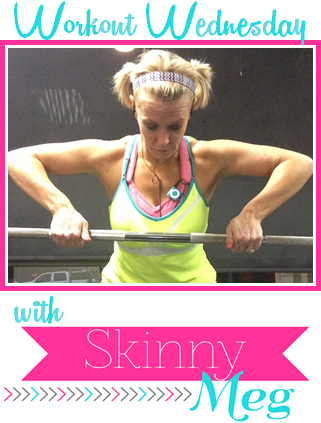 Today, I am linking up with Skinny Meg for Workout Wednesday. 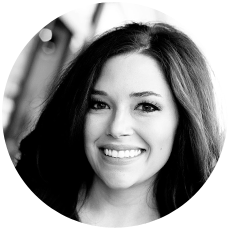 As most of you know, I love Pinterest for healthy eating and work out inspiration, but there are a couple other things that I use to keep me on track. Most of you are probably familiar with MyFitnessPal, but it really is a great tool to help you keep track of calories in and out by logging food and exercise. I am not religious about logging every single food item or exercise session, but I love using it to look up calorie counts of various foods. I get into routines with what I am eating, so after awhile, I know about how many calories I am consuming without logging them into MFP. If you have MyFitnessPal, let's be friends...find me here. 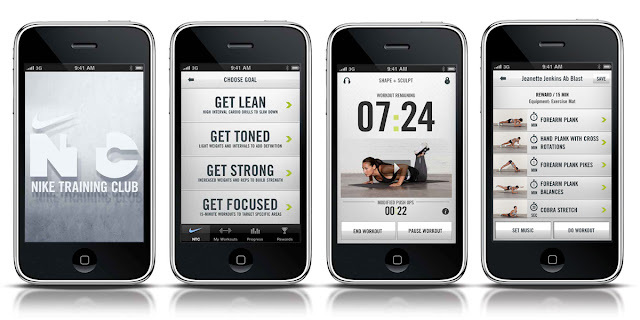 Nike Training Club (NTC) is a free app for iOS and Android that has a ton of different workouts. Since there are over 100 workouts in NTC, you can choose the length, level of difficulty, and focus area of the workout. Each workout is designed to be completed with minimal equipment and can easily be done at home. This is great if you are super busy and can't make it to the gym! Of course, this is more than just a tool I can use to help me on my health and wellness journey. For me, when I look at the people around me who are working to make their lives better, I am inspired to do the same. For example, my mom ran her first 5K over the weekend, and she did great! She set a goal, worked hard, and accomplished what she set out to do. Another example, I love following health and wellness blogs, like Elle Noel and Rabbit Food for My Bunny Teeth. I may not be a runner like LeighAnn, but she is a rockstar and so inspiring. I especially love reading her workout tips and food ideas. And, Catherine has a ton of healthy eating ideas and recipes. Both great resources for getting motivated and staying on track! Let me know which workouts you like! Found you from the link up, thanks for sharing! Great tools! Keeping track is so important!